From January 1-July 31, Kate has done 79 engagements over 43 days, with 37 engagements in the UK and 42 outside of the UK. She has visited 10 out of her 16 Patronages for a total of 17 engagements. 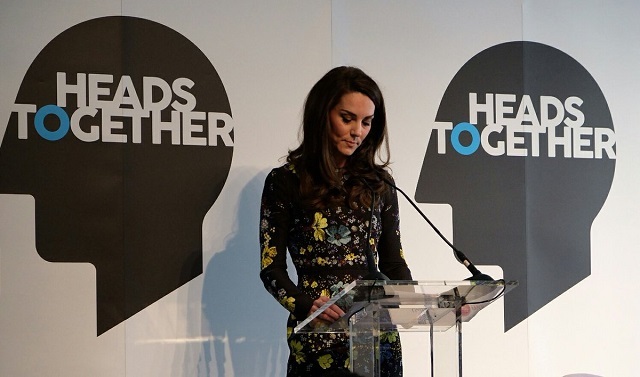 Additionally, Kate has done 11 engagements related to Heads Together (some of which were done as Patron of the Royal Foundation). Out of her 79 total engagements, 22 have been solo engagements. Kate has given 3 speeches. Compared to previous years for the same time frame (January 1-July 31), Kate has actually worked more days and done more engagements. I can only compare 2017 to 2016 and 2015 in terms of days and engagement breakdown, as these are the only three years for which I have the same engagement breakdown. But I did a quick days count for the other years for the same time frame, and Kate has worked more days in 2017 than in any other year. I was quite surprised by my findings. I thought for sure that Kate would be lower in number of days and number of engagements for 2017 than for 2016, because she seemed busier last year but I guess not. Consistency in the early months and a busy July put her over the edge. 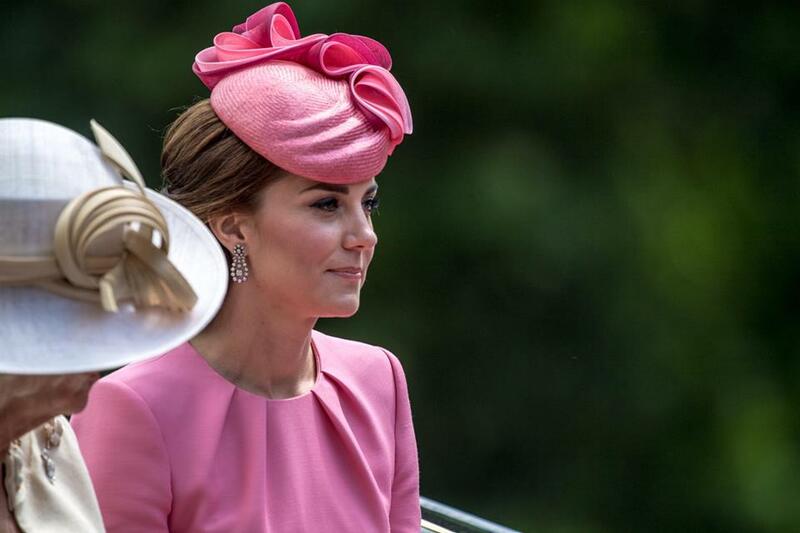 Has Kate really stepped up her game to full time royal status? Not really, but she has been doing slightly more this year than in previous years for the January 1-July 31 time frame. You can see a full breakdown of all of Kate’s 2017 engagements, speeches, and interviews at the Appearance Total 2017 page, which is now fully up to date. It’s the engagements that have been for Kate’s entertainment that get to me – the fact that she’s added to numbers by going to watch a tennis match or two? That really gets to me. 43 days in 8 months…..if they want to be normal they must surely know you have to work 20 days a month? Most of these numbers are due to everything being counted separately on the foreign tours. Again normal people who work put in at least 8 hours every day. It’s a pathetic total especially considering she gets “engagement” credit for things like getting out of a plane. Will isn’t much better either. I don’t see how they will suddenly develop a work ethic at 35. Usually character and drive have been set into stone by that time. Agree, and this seemed to be the year in which they would increase their work number. Really pathetic. The ‘work’ is for PR purposes only and of little consequence – just a few hours a month to keep them visible. Nothing will change as long as they are not called to account and public apathy continues. These people have negligible work ethic because they don’t have to have one. It’s ludicrous expecting their lifelong characters to change. If people show you who they are, believe them. It must be nice to only “work” 3, 8 or 11 days a month! But they are not normal people responding to a corporate office. They are the royals. And just the fact that they show up in Charity’s or events, raise way more money and awareness and press to the cause that you and I and everyone that we know would do together in a whole year. We need to understand their while and stop trying to make them fit in our way if life. Also I believe that when they say they want to be “normal” they meant as normal as possible for someone living on a palace. The photo of her signing the guest book (?) is a nice picture, she looks natural, happy, and at ease. I like that Kate. I’m amazed she’s worked that much because it doesn’t seem like it, but if you cram in all the stuff on tours, it will bump her up quite a bit. She does look lovely in that picture. Agreed. Her smile is warm, sincere and engaging rather than the over-the-top grins I see in other pictures. Yes, a very nice and natural photo. Kate may have had more engagements thus far in 2017 but 43 days work in 8 months is pitiful. I appreciate that the Queen gave her blessing in as much that Kate and Will devote themselves to parenting in the early stages of family life. However, now that the children are school age I expect Will and Kate to pull their weight. The notion that the Queen ‘gave her blessing’ to the Cambs is not true. Anonymous sources close to the Cambs *say* that’s what happened, but BP and anonymous sources close to the Queen have said nothing of the kind. It’s a fiction KP came up with to excuse WK’s shocking work numbers early in their marriage. William, who considers himself a PR genius (he is not) has demonstrated a repeated inclination to attribute his own ideas to BP, effectively daring them to refute it. The Queen, inexplicably, has chosen not to engage with William about this. Maybe she thinks it’s harmless. More likely, the Queen, who is famously adverse to conflict, doesn’t want an angry William all up in her grill shouting “But Mummy! !” It’s all a travesty. All of it. Kinda like the Malta fiction to justify Kate refusing to work immediately after her wedding. She had to be pushed out of the palace door, metaphorically speaking, in 2012 after the Palace was stung into action following lots of negative media discussing Kate’s refusal to work. That’s the first time Richard Palmer wrote a snarky article about Kate being seen shopping frequently whilst coming up for every excuse why she couldn’t work. I read an article regarding the Queen approving of William’s choices where one of the sources cited was one of the Queen’s oldest friends, and the other source cited was a cleric close to the Royal Family. 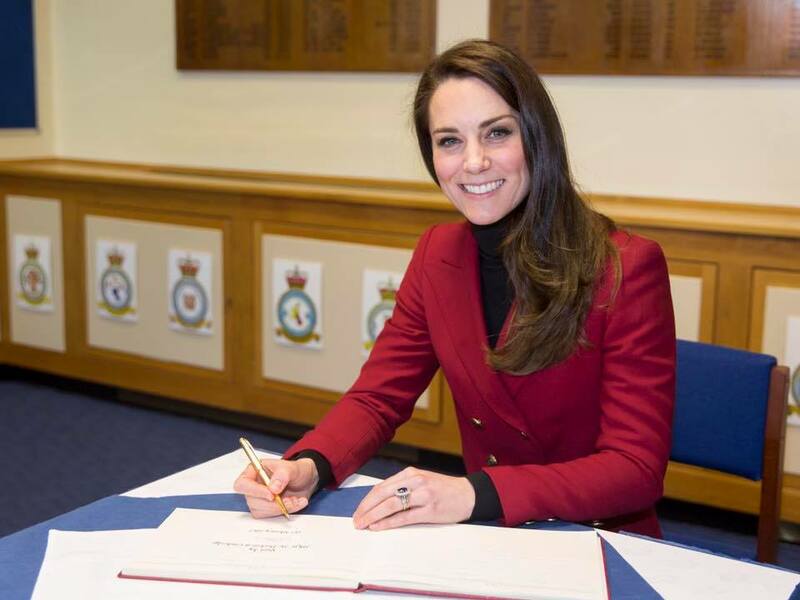 It makes sense to me that the Queen gave her blessing to William and Kate not being full-time royals, it parallels the game plan that she operated under when she first got married where Philip’s ambition was to climb up the ranks in the Royal Navy, and as such had overseas assignments and the then Princess Elizabeth spent time with Philip at his naval base. George VI’s ill health was why the Queen was not able to spend years pursuing her version of “a normal life”. The Queen’s father was in his forties when he unexpectedly took the throne, the Queen was twelve and Margaret was six. Up until then the Yorks were able to establish themselves as a close-knit family, and for the most part live their lives on their terms. Having said that I will note that we live in different times and technology does allow today’s royals to carry out royal duties and still be involved parents, so I think that young royals can be full-time working royals as soon as they come of age, but if that royal wants to pursue other interests for a limited amount of time, and all parties are on board, I don’t have a problem with that. That article is PR nonsense. Richard Kay can barely contain his distaste for William, but at some point in 2015, he changed his tune and started churning out sugary prose made of lies. I view him in the same lens as Camilla Tominey who once spoke scathingly of William, but as soon as she was given several exclusive private meetings with the babies, changed her tune completely. This particular article was written when the Palace was trying to fight the flurry of workshy articles. William gave an interview to the BBC (with reporter He AND Charles loathe), then Richard and Camilla were deployed to write sugary articles about jow WK were this young idylic couple trying to make their marriage / family work in the face of beastly inconveniences like royal duties. Camilla’s article went as far as painting working parents as bad parents. The point to always remember is that The Queen isn’t one to wrangle her family or to insist upon anything unless it damages the monarchy. It’s quite clear that she simply let them get on with it assuming they would pick up the pace without geing prodded into it. The media madeup lie about Malta designed to justify WK’s laziness needs to be killed off. Firstly, the Queen worked consistently throughout her early years, married or not. The records in the national archives prove as much. Secondly, Philip didn’t head off to Malta until 2 years AFTER their wedding. Even then, the Queen visited him 4 times during that time. The kids were left behind with the Queen mother. The Queen might have enjoyed her sojourn in Malta, and the illusion of a ‘normal’ life, but she didn’t move there for long stretches and continued her life in Britain taking care of royal family business. It was idylic for her because she got to be in ‘normal’ situations without a retinue of staff, but it was more holiday than anything else and who is stressed out by holidays where you step outside your life for a weeks at a time? Journalists and publicists assume that the public won’t check the record, and who would dare make up or exxagerate a lie involving the Queen. That’s how this Malta story found it’s feet. And the seeds of it were planted a few days after Kate did a huge public 180 after the wedding from ‘hitting the ground running, can’t wait to start working’ engagement PR to ‘she’s going to be a housewife in Wales’ after the wedding. Considering she’d done nothing for years prior to the wedding, it was a PR disaster in the making. That announcements caused rumbles, then talking heads on telly started to spontaneously bring up the Queen’s Malta sojourn, with changed details to suit the new Kate narratives. Then the print media took it up, and the blogs. Royals watchers were skeptical about the details, and a quick research proved them correct. A truth exxagerated for the benefit of Kate. And this article is another in the long line of exxagerated truth and outright lies for the benefit of William. The then Princess Elizabeth lived in Lord Mountbatten’s home and one of his daughter’s accompanied her there, and since they (the Mountbatten daughters) tend to participate in documentaries and other media reports about the British Royal Family, that is part of their commentary. The original comment was that William and Kate had the Queen’s blessing to “devote themselves to parenting in the early stages of family life.” That was disputed and said that it was sources close to the Cambridges and that “BP and anonymous sources close to the Queen have said nothing of the kind.” The linked article I posted refutes that. You state that these articles came out when the Palace was trying to fight the flurry of workshy articles, perhaps but that does not make the statements in the articles untrue. I prefer to believe that the Queen will OK her inner circle sharing true tidbits with the media regardless of the impetus, than to believe that the Queen / the Palace will put out false information in response to a few negative media reports. I know that Charles is on the record for loathing Nicholas Witchell but I don’t recall seeing anything that shows William feeling likewise. A careful reading of that single, solitary Daily Mail story says only that ‘a close family friend’ confirms the idea of working less in the marriage’s early years. The unnamed cleric and others are speaking about the (supposed) approval of the Midds involvement in the babies lives. It is entirely possible that the lone voiced, close family friend, is William himself, or someone working for him. Yes, this is speculation. It is a fact, however that no one associated with BP has gone on the record to say that TQ approves of William’s choices. They say only that they are his choices to make and TQ has decided not to interfere. Hardly a ringing endorsement. Hence her determination, as one of her oldest friends explains, ‘to ensure William and Kate have as long as they need to be close to their children while they are small’. I don’t think William would be classified as one of the Queen’s oldest friends. Frankly whatever the Queen thinks is right, who amongst us would think it ok for our grandfather who is 60 years older than us to work harder than us. As we’ve said so often they are never going to understand the true normal issues of being working parents. They don’t have to do the cooking,shopping, cleaning, budgeting …etc etc. If Kate did 4 engagements a week even with preparation it would leave her a lot of time to be Mummy. There is no escaping the fact that these two who are approaching middle age are lazy. The bottom line is that you will see the two posters pop up to defend Kate particularly every once in awhile and they disappear. It’s only been recently that they have frequented the blog more than previously. In addition there shouldn’t be an argument when talking about the uber privilege and what they should give back when they are supported by the public. Even IF, and that’s a big IF, the Queen granted them this, why accept? Why not say, “I’ve been lazy for 10 years waiting for this ring, so I will just get started on all the work I knew would be required of me after hearing & seeing it up close….FOR 10 YEARS? Aaa: William has form at pretending the Queen or Charles or someone close to them have sanctioned his behaviour. He knows he can get away with this lie because neither Charles nor the Queen publicly rebutts the lie. Ditto organisations covering for his lies. Only the CAA refused to cover for his lies and went as far as calling him an outright liar for the particular lie he told about them to cover reasons why he wasn’t working like his PR had been pretending he did. You miss the entire point i was making about the Malta story and how that was twisted and exxagerated to cover the dact that Kate had rwfused to work despite 6mths of her PR telling us that she couldn’t wait to get started. Infact one of the cast iron believed PR points during the aimless no work dating years was that she was waiting for a ring on her finger before she could work and she was couldn’t wait to do so. Seemed like a reasonable, plausible explanation which we all now know to be a lie. The Queen’s Malta story in it’s original version has indeed been around for years including her thoughts on it given via friends and relatives like Margaret Rhodes. However, when Palace PR needed a cover story for why the previously touted work ethusiastic Kate had decided to become a housewife instead, media outlets were briefed to change the conversation to prevent the rumbling backlash from turning into a full scale pitchfork situation due to the disappointment of the public who’d been stoked into fever pitch excitement at Kate’s debut as a royal with emphasise on work to dazzle all of us. The Queen’s malta story was co-opted by talking heads first. Details were changed such that the Queen had decamped to Malta immediately after her wedding too, never worked during those 2 years and was completely unseen as she and Philip worked on their family. A lie also repeated in the crown where they had them in Malta as a family unit including the kids and the Queen lazing about doing nothing. The talking point was changed from Kate workhorse to Kate emulating the Queen by staying at home. The deflecting story was even embellished that the Queen had given them 2 years to match her 2years in Malta. That’s what i mean about the Malta lie. Not that the Queen never went to Malta, but that her personal story was embellished, changed to justify Kate refusing to work. It was and remains a masterclass in establishment PR because it can be repeated in later years and people will believe it even though the evidence of the past 6yrs gas comprehensively demonstrated that Kate doesn’t like to work and rarely does so. No need for a deflecting story to cover that up. She’s shown us who she is. AND it’s not like they lived frugally in Wales. On an estate. With staff. And when supposedly in Wales Kate was living with Mummy or in the house the Middletons bought them in Chelsea… I suspect they don’t really live together often even now, which isn’t unusual for royals or aristocrats, but contradicts their ‘we’re parents so we can’t be bad parents and work!’ garbage. She remains lazy and has only barely increased numbers and most of that play events like Wimbledon or museum shows. There is little of substance and yet an expensive outfit every time. I was drafting my first comment when your first comment was drafted. Even though we discussed similar points, my comment was not in response to your comment. All royals have PR staffers, I shudder to think that William and his hacks go around telling lies involving his father and his grandparents and they not only let him do that, but they give him large homes, pay for these homes to be renovated to his and Kate’s tastes, move tennis courts, and provide a helicopter for his use. However much of a miscreant that makes William, Charles and the Queen come off as worse in my book. Is there a problem with people popping in and out of the blog, springsmom? I do it; and I’ve been around a bit more lately as KMR has tried to balance the comment section. Aaa: i didn’t realise that happened vis a vis our comments. However, your last comment shows how much people do not want to believe that William lies to the palace AND lies about his parent/ grandparent acquiescing to his lack of work. When the renovations to KP were announced, particularly the extravagant cost, the Palace stressed that it was done because William was going to start his full time duties that September and needed an official London residence to similar to Charles’s set up at CH. The refurbishment of Anmer was thrown into the general refurbishment programme even though he had received the lease of that house earlier as a 30th birthday present. It was a case of doing it up as a weekend residence rather than his main home. The same reason was publicly given for the Queen leasing a new helo for his private use though the palace later clarified that other members of the family would use the helo too. There was also emphasise that the helo was needed for his new full time official duties life AND would only be used for work purposes not private leisure. Sidenote: in last year’s accounts, there was a note that said all helo travel by WK was being covered by the sovereign grant. No distinction between private or work and not just between residences. However, not long afterwards, William announced his job with EAAA. That was months after he had done an engagement with them and expressed a longing to be back in the air. A clear case of baiting and switching his father and grandmother. They will not publicly call out his lies. At best they mildly complain via media articles, but not in any way that changes his behaviour. William shamelessly lies to them and to the public by claiming that they agree with his decisions for his multiple gap years. During the dating years, BP sanctioned an article that questioned why Kate wasn’t working or at the very least doing charity voluntary efforts. The body of the article opined the need for the royal aspirants to be seen to be working and not just sitting at home doing nothing. Soon afterward, Kate got a job at Jigsaw which her biographer, Katie Nichols, acknowledges was done to mitigate the lazy articles that followed that particular sanctioned article. With that in mind, does it make any sense at all that the woman who questioned Kate sitting at home for 5-6yrs post university would sanction a 2yr gap year after the wedding? A woman with a strong sense of duty, and a husband who dislikes lazy people, raised by the most indulged Queen in the last 50yrs yet said Queen publicly said that work was the rent one paid for life’s privilege or words to that effect?! William says he is proud he ignore all advice and does what he wants, so I cannot imagine them not working is up to HM. They’re treated with kid gloves. As we saw with the civil aviation authority, William has a strategy of claiming one reason to one work body whilst saying the opposite to BP. The Palace duly touts his lies as truth, except when the Civil aviation authority refused to accept the lie that they were preventing him from carrying out royal duties as BP had said. Very politely called the Palace liars which made it very clear where the lie had actually come from. How he gets away with it and has done for years is beyond me. Fear of what he would do in retribution due to his and Kate’s popularity over their father and how much everyone hates Charles? He remains a co-pilot which tells you just how little he worked. For anyone else who started training in their early or middle 20s, they would have most definitely had their full pilot licence well before 35. I will reiterate a point I made previously. A co-pilot has a “full pilot licence”. If he were fully qualified for this gig, wouldn’t he have been able to man a single pilot helicopter? He flew one in SAR. Wasn’t SAR also the gig where he almost lost his wings? If he cannot fly a plane on his own then he is not a full pilot. It makes no sense to suggest this and you cannot point to any legal authority that states otherwise. EAAA had to get a special helicopter for a reason because they weren’t going to risk liability issues by letting William fly on his own. I have friends who have pilot licences and the entire point of getting one who be to fly the plane or helicopter on your own. William is too lazy to get all the hours in to qualify. And they keeping letting it be said that he is a pilot so he clearly knows that still being a co-pilot isn’t a full pilot. This entire exercice has been to stroke his ego and play pretend normal when he wanted to. But the reality is that even the U.K. Aviation Authority is only going to stroke his ego so far because other people’s lives are at risk during the rescues. @ Spectator. William wouldn’t be a co-pilot if he worked hard rather than hardly working. William would be the pilot by this point. Please stop playing semantics. Yes he has a license. Has he gotten as far in his career as he would’ve if he were hard working. Nope. I can’t speak for everyone but I knew what she meant even if wasn’t articulated accurately. Remember even the RAF had to call William out for his lack of seat time in his helicopter when he worked in Angelsey. They told him William needed to get to work more often to keep his license. So there is history here. William has used his jobs as cover for being a slacker for a long time. Just like Kate has used the excuse of needing to be available to William during her waity days and uses her children now to avoid being a hard working royal. Is there a tally somewhere that shows how many days The Queen, Prince Philip, Charles, Camilla, Anne, Sophie and Edward do? I am curious if they do pull off closer to 20 work days a month, or if they work fewer days but more engagements per day. Not that I know of. I would have to go through the CC and count. Kate is usually towards the very bottom in terms of number of engagements per year. The Queen, Charles, and Prince Phillip usually do hundreds more engagements a year than Kate. I think it’s a fairly safe bet that their numbers are probably much higher than hers so far this year as well, except for possibly the DofE. I know Anne, who often has the highest number of engagements, often has multiples in the same day, especially if it is an away day. I would be surprised if any of them work 20 days a month, except the Queen and Prince Charles, counting work they do out of the public eye, too. However they all do have to do an amount of preparation for public engagements. We all know how diligent William is in doing his homework. I saw some calculation and Anne and the highest # I believe. Charles was close and that was a couple months ago so he could have caught up. Anne may not be warm and fuzzy, Her hair may be stuck in the 70s but the lady can work! I’d like to see Camilla work more, but I think she has health problems too and definitely back problems that prevent her sometimes, which stinks. That is true Ellie, thanks for reminding me! Me too, but there’s kind of an odd, implied message being sent out to the rank and file royals: Will and Kate don’t have to step up until they are ready, ribbon cuttings aren’t meaningful, there’s no place for you in the future slimmed down monarchy, but if you can continue to do 500+ engagements a year in the meanwhile, that’d be great, m’kay? No wonder we are seeing less of some of them. Great points you made here FC!! I hadn’t really thought of it like this but yeah, who’d be lining up to do 500+ engagements when others do next to nothing and you know you’ll be pushed to the side at some point. It’s a real shame Anne doesn’t get more credit for her work, as she seems to always be the one who works the most. She may do the most engagements, that does not mean she works the most for the country or for the family. She does the engagements and goes home and works to make her private estate profitable. Charles does his engagements, turned around the Duchy, does Prince’s Trust, saved Dumfries House, and has taken over the land management duties of Sandringham and Balmoral from Philip (although those are private not royal-duty-related). Thank You!! The praise for Anne gets a bit much for me at times, but I don’t want to rile any feathers by saying that she is hardly lacking in privilege and is very much a member of the ‘firm’. Horses aren’t cheap and imo her children may not have ‘titles’ but they certainly aren’t lacking in benefiting from their DNA. All her good works enable her to travel to places and see things that the working taxpaying people who fund her lifestyle can’t afford. That said, I rather like Anne, she has a sense of humor and tells it like it is. It’s Sportaid week in late September, and Action on Addiction are doing a Royal Parks run in early October so it’d be nice to see Kate do something for both, as they haven’t got much attention from her recently. It’s sad she hasn’t done more with the Art Room – this summer they have been holding free activities for London families affected by the Grenfell Tower fire, which is a really important cause. It’s good she’s doing more foreign tours, but with such a select set of UK patronages, it’s not too much to expect she visits them all at least once a year. It would have been lovely if Kate or someone on her staff thought to have her attend the Art Room event for the Grenfell Tower victims. This is one of the things that bugs me about Kate and her staff, no thinking outside the box, no showing up at children’s bedsides when they’re in hospital with some coloring books and markers (since Kate is so keen about art). For a couple that are supposedly going to modernize the monarchy, why do they only show up, smile, shake hands and leave? I agree! She took a bunch of kids to the movies too. Future Crayon, that is interesting about the Art Room and the free activities for London families affected the the Grenvell fire. Gosh, thanks for pointing that out. She should definitely go there and roll up her sleeves adn get involved in some of the activities. That would be a wonderful thing to do! As Lauri said, show and do some activities with the kids. Hey, remember, she loves to color!!! I remember one event she went to a farm.It’s one of my favourite ones without bling or great style.Just a natural Kate with a deep-going cause. Plus, it was near her home.Something which a royal also should consider is to help the region they live in.People are delighted about such visits. I agree Lovely Blossom! I’ve heard that neither W or K or H enjoy doing the traditional ribbon cutting events but they must remember that these engagements are not about them and their enjoyment but acknowledging others, those that work hard every day to help keep their country going. Charles is quite wonderful at attending local fairs and such, by the looks on the faces of those he meets they are quite thrilled that he does. I couldn’t agree more, QL. Those local appearances gain long term affection. Agree. Charles visits the Castle of Mey every year and it’s a very low key occasion (although the Castle is closed to visitors and security swept etc). While he’s here he visits local retailers and attends the local Highland Games, he visited my friends brewery last year and tried their beer! It’s a holiday but a working holiday for him and we, for the most part, like and respect him for his constant attendance. I’m saddened at the recent bad press he is getting, I don’t feel it is deserved and it’s time to bury the past and move on. I am in the US so my hard earned money doesn’t go to finance Kate and Will’s lifestyle. But I imagine that if I was a UK resident, 43 working days so far this year would be a very bitter pill to swallow! When people with normal lives and normal jobs say they worked a certain number of days, they usually mean the working hours of those days – eg 9am-4pm, depending on what sort of job they do. 43 days’ work is what most people do in only a couple of months, not spread across eight months, and in order to claim to have “worked” most people would have done more than a couple of hours in a day. So Kate has done few days, and each “day” is more like hours. KMR, there is no record kept of how many actual hours Kate spend doing engagements, is there? That info would be too damaging for their PR, I’d assume. I’d like to know how long she actually spends at a place or an event, actively engaged. Not counting travel time or sitting at the tennis or flirting on a yacht, either, but actually seriously doing something real. I bet that 43 days would drop substantially. I genuinely don’t know why people in the UK just let this stuff slide! I agree with the hours in a work day vs how long the spend. It’s why a prefer days worked to #of engagements. Tbf, all the royals do the quick engagement thing….there’s no other way Charles could pack 10 engagements into a single day on tour otherwise lol….so for me, the amount of time at each engagement is less relevant (at least in comparison to royal norms), and I focus on engagement numbers instead bc of that. Which….are still not good lol. Yeah, Charles does something like 40 engagements in 3 or 4 days when on a tour, but the only way to do that is by doing short engagements. So while people laud the total number of engagements Charles does while on tour, we must realize that they are very short engagements. What exactly can they do about it? The US has a First Lady who does almost nothing and First Daughters and Sons who take luxury vacations to Italy and Germany costing hundreds of thousands of dollars in car rentals. There’s nothing we can do about that either. At least there is an expectation that members of the royal family will do a number of engagements and they are routinely counted. That’s not a lot of work to justify the huge expense of keeping Kate fed and clothed and housed. And as much as the RF likes to ride on the coat tails of invented tradition and mystique or the ‘magic’ as Harry calls it, I think the tolerance to pay for all of this is rapidly waning. 43 days of work and how many new outfits?! Well more than 43 . . . when she is on a “holitour” she changes several time a day. No doubt there are many more clothes taken away than worn – spares in case of weather and/or a change of mind or unexpected different/extra event. There would be less issue if W&K were seen to be of some value – but they are not. No doubt they wll play on the fact that George will be a bit sensitive about going to Nursery School and therefore won’t be able to have any commitents util 2018. 43 days of work and 37 new outfits???? To be fair to Kate, it could have easily been 43 days and 43 outfits. I was surpised that wasn’t the count because she seemed to have a new outfit at every new engagement. AFAIK she’s spent about $80k this year so far. Wow, if it wasn’t for the 3 “tours” Kate’s numbers would be truly appalling. While I’m not a British subject, I’m rather sad to see that she does so little for those that have given her and William so much. And what I find even sadder is how rarely she does anything for the charities that she is patron of, so many wonderful causes and so many people who dedicate themselves to helping and serving others unfortunately have a patron who can’t be bothered to help highlight their causes. I don’t know how she can look around at her beautiful homes, her many vehicles and all of the perks that have been provided for her and think that she does enough. How can she look at herself in the mirror and like what she sees? Queen Lauri, didn’t one of the tell-all books (can’t recall which one, maybe written by a staffer at some point) observe that from early dating days Kate very quickly got used to the privilege attached to William? After a short while the luxury and deference must seem both normal and deserved. Nor hardly surprising since Kate’s family’s ambition has to get on that gravy train. It’s never been about giving back or earning the privilege. I’ve read the same thing, discount on cars, comped drinks at nightclubs, etc. I’ve also read that she did develop a bit an “entitled attitude” long before her marriage. They haven’t announce any more foreign tours have they? That seems the way to make them work. I’m finding it difficult to believe she worked more days this year than last year, too. Not judging the research on the numbers, it just seemed to me that she did “work” more. As mentioned above, even when she works, the hours involved are low. Or, do we account for the time it takes to have her hair styled and make-up applied? Man, put us all on the clock as we do our make-up, blowout our hair and dress, too. Also, since it does not seem she or William read the notes pertaining to their upcoming engagements, how many hours is she really spending for each of these work days? Does she know enough about the people and places she visits? Does she show an interest in learning interesting small talk and making speeches. I would be willing to cut her some slack in her working numbers, if I knew she was working on making her appearances better. I also agree with the posters who are upset that she spends so much for new outfits for these work days. I know that she does recycle some clothes, but regular folks do that on a consistent basis! I work part-time, but do a lot of research at night for the articles I write. So, in the long run, this year, I think I have worked more time than Kate has and have the full responsibility of my daughter and stepsons without the aid of a nanny or two. Wow, her numbers did not impress me! Even when one includes the tours. What constitutes work for most of us is pretty clear and needs to be applied to ‘royal work’ too because we need points of comparison to ascertain (a) value and (b) amendments. Their lifestyle might be rarefied but their ‘work’ should not be dressed up as something godly. The long and short of it is that the ‘royals’ are mostly idle. While it’s a step forward to see number of days worked, it’s really only between 30 minutes-a couple of hours (if multiple engagements) on any of these days, so it is misleading. I’d like to see further drilling down to the length of each engagement AND a hierarchical classification eg state functions, family functions, diplomacy, etc. At that point one could see what is core and what is not. At that point, people can have a frank and fair discussion of what the country needs, can afford and where they want to put their tax pound. However, the Palace PR is deft in inventing and re-inventing new truths to obfuscate the greed and idleness of their clients. Sadly people are too apathetic. Royal tours’ numbers mislead too; often there is so much padding to justify the trip in the first place and in the case of the Cambridge’s, much of their itinerary is ultra light/fun to keep them from sulking. I agree that Kate’s spending is out of control; again, too much money is flowing to her in this regard. The public gets no return for expensive clothing worn once or twice. I think there’s been a downward slide in quality if not quantity, relatively speaking. This year, a large percentage of Kate’s engagements have been fluffy and with Willy, in effect, as his arm candy; she’s only had to show up and strut her stuff, a very passive ‘engagement’ indeed. It looks like she’s now leaving it up to her man to do most of the heavy lifting while she brings some bling and an obscenely expensive rota of new frocks as befitting her status as princess and future queen consort. The light engagements performed by the trio (in general) points to their having to be cajoled into ‘work’. Royal work is designed to entertain and amuse them more often than not, rather than the ‘royals’ bringing a spotlight to the work of others. Even the dimmest bulb should be able to see that such an approach is contemptuous of the public hand that feeds them as well as being a waste of money. What this post and comments highlights is that the BRF no longer pulls its weight, if it ever did, and exists because of its hold on British society and its all-encompassing PR regime. The latter seems to spend its time obfuscating the truth about its clients. If it’s come to that – lying to keep a family in the fashion it thinks is its due – then it’s time to wind it up. Surely. Wow! Shame on Will and Kate. Well this is quite similar to the US First Lady who has probably worked about 20 days since January 20. We don’t have a Royal family but we do have a very expensive and very large First Family who take glamorous trips around the world bankrupting our Secret Service (this has never happened before, ever!). When you look at ‘days’ worked and not engagements it really is a splash of cold water to the face. It’s really interesting that Queen Letizia gets criticized by the Spanish media for wanting to be a M-F, 9-5 royal and having the weekends off when it feels like she does at least one engagement at least 3 days a week almost year round. I didn’t know they were criticizing Letizia over that. I feel like she does several engagements. How odd. She’s unfairly criticized by the Spanish press; she’s not perfect but they go overboard. I can only imagine how tough the Spanish press would be on W&C. The Spanish press seems to hate on Letizia pretty hard. For no real reason. Letizia reminds me of Jackie Kennedy; they both worked in Journalism but had a disdain for the press. Like Jackie, she knows how the press can be so she keeps her kids away from them as much as she can. I have enjoyed reading this blog for several years. It is very insightful, and filled with history, culture and fashion, to name a few of the substantive areas that are discussed. The commentators provide a wealth of information based upon their diverse countries, regions, expertise and experiences. I find it unfortunate that commentator Jessica references the First Lady of the United States, Mrs. Trump in her discussions about the royal families in Europe. Her comments clearly appear to be political in my opinion. I do not think that you can draw comparisons with the wife of an elected President in the democracy of the United States with those countries that have unelected royalty, because the nature and historical system of royal succession is completely irrelevant to the United States democracy. 2020-72 days-Whoa!! This is tough, I have 3 kids! 2024-172 days-Are you totally out of your mind? I’m with the this made me laugh posters. And with all the truth coming out, the pr generated puke, the lies I have believed for years, this was a much needed laugh. I read all the comments, and am flabbergasted at what I’ve learned, and not just about the ‘royals’. So much is coming out, being made clear, and it’s beyond disgusting and totally absolutely wrong. Just wrong. KP announced W&H&K will be at an event on the 30th for Diana. And clips of them in this interview are on their Twitter, making me think Harry got it wrong–because he is blaming the paparazzi for killing her and how they were not helping but taking pictures of her,and how it’s THEIR fault. No, the driver was drunk, your mum didn’t wear a seatbelt, and from what I recall they tried to help her because Paris ambulances are notoriously slow. So it makes sense why they hate media so much unless they can control it, even legitimate media; they genuinely believe these people made sure their mother died. William says he hopes his mother is proud of him and I’m thinking, “Probably not, buddy.” There is a lot of pent-up emotion in his voice. I don’t believe either of them have ever come to terms with the grief and psychological damage. It’s sad, really and explains a lot about their behavior. And to the world, it excuses it, instead of explains it. But yes, I’ve seen clips and while I can never understand what they’ve experienced personally, I find their bitter anger and behavior at/towards the media (even legit journalists/photographers) astounding and equivalent to giving the middle finger. What they don’t realize is that they (the press and media) have all the cards (even the dirty ones) in their hands and can pull one out whenever they see fit, ruining their reputation so fast it’ll make their heads spin. Poor W,H & K must be so tired! Overworked, underpaid & unappreciated!(sarcasm.) I am so disgusted with their lack of shame! How dare they complain! They are in excellent health, no money problems, a great place to live. This whining raises my blood pressure! The swedish king lost his father at a very young age & i have never heard him whine like those 3! The swedish royal does not remember his father! The should be grateful that they have memories of Diana! The 3 lack gratitude for their wonderful lifestyle! I loved your post, Halia. They do indeed seem to overlook the fact that they have so much and don’t appear to show much gratitude. William, especially, always looks so sour and put upon. If that is his RBF (do men have those, too)? –, then, I’m wrong. But, oh, he always looks so angry and that alone may be aging him. Kate, at least, can go for facial treatments if she starts to show any lack of being thankful. I just think, she is spoiled. He, on the other hand, is spoiled and resentful. I am kinda surprised she worked more this year compared to last year.I don’t think kate will ever be a workerbee like princess anne.Kate and William will always coast along with excuses and doing the bare minimum when it comes to work.